Feng Shi paintings contribute to the overall energetic flow and feel of a space. General feng shui principles also apply to paintings. You can use the bagua to determine the ideal placement of feng shui paintings for prosperity or feng shui paintings for living room auspicious chi energy. You can choose feng shui paintings based on the elements they depict and the energetic frequencies they promote. Choose paintings that feature one of the five elements of feng shui in order to contribute more to that elemental energy. Likewise, elements depicted in paintings can strengthen or weaken other elements using the cycles of construction and destruction. Paintings of trees or driftwood, forest landscapes, and similar images depict the wood element. Likewise, a painting on a wooden board may reflect the wood element. Paintings containing water landscapes, rivers, waterfalls, lakes, or other liquids depict the element of water. Paintings of candles, fireplaces, or other fiery things depict the element of fire. Landscapes of mountains, plants, crystals, and similar items depict the element of earth. Paintings of things like cars, coins, or silver grooming sets all depict elements of metal. Look for the predominate color in the painting to determine its element. Paintings with red, orange, or purple strengthen the element of fire. Paintings with these colors reflect joy, vibrance, passion, and warmth. Paintings with brown or green strengthen the element of wood. Paintings containing these colors are considered colors of prosperity and spur renewal. Paintings with blue or aqua strengthen the element of water. They are associated with tranquility and peace. Paintings with brown, beige, yellow, and earth tones strengthen the element of earth. Earth elements are associated with stability, grounding, nurturing, and receptivity. Paintings in brown, black, white, gray, and metallics strengthen the element of metal. Metal represents energy moving inward, productivity, rational thought, and intellectualism. Use paintings with these colors to help tone down areas where you have too much of a certain type of energy using the cycle of destruction with water weakening fire, fire weakening metal, metal weakening wood, wood weakening earth, and earth weakening water. Lines are also important in feng shui and this includes those in paintings. Straight lines and sharp angles are considered unfortuitous or negative because negative energy travels in a straight line. While paintings can have straight lines, these need to be softened with curves and arches, as well. Curves lines are considered fortuitous because positive energy travels a curved path. Circles depict balance and cycles of energy and nature. Some images in paintings are considered beneficial and contribute to good feng shui, while others may have more negative connotations and contribute to poor feng shui. Paintings of bamboo are said to bring luck and prosperity. 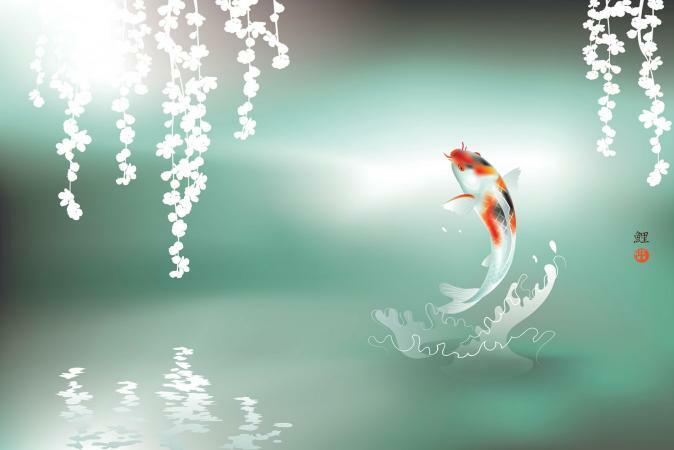 Koi fish are associated with prosperity. Therefore, these paintings can help to boost wealth and abundance, particularly in the money corner of your home. Images of Buddha (whether statues or in a painting) bring good luck. However, this is only true of the Buddha painting is a gift someone else has given to you, as you cannot purchase luck. Paintings of positive images, such as beautiful scenery or celebrations, bring good energy throughout your home or office. Many other pieces of artwork, including paintings, can be placed in areas of your home to support different energies. Some paintings may create less beneficial energies according to feng shui. Paintings of disasters, wars, storms, unhappiness, loneliness, or similar negative incidents generate negative energy. Having paintings of water in the bedroom could cool passions, as water suppresses fire according to the cycle of destruction. In general, larger sizes of paintings bring more energy than smaller paintings. Likewise, watercolor paintings may have a softer energy due to their less vibrant colors than those done with oils or acrylic paints. Consider framing material, as well, noting which element it depicts. 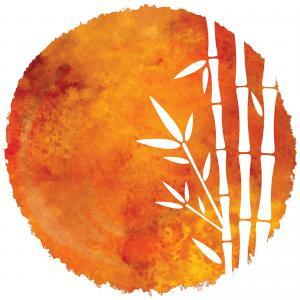 While choosing paintings with feng shui in mind is important in how the energy circulates in your home or workspace, be sure you choose paintings with more than these energies in mind. It's also important you choose a painting you love because you will be looking at it for many years to come. Therefore, figure out what types of paintings you need for each area of the home, and from there choose those you truly love looking at.